The 10 Best Thrift Shops in Nebraska! Nebraska’s thrift stores are definitely treasure troves. From vintage clothing and furniture, to home decor and artwork, there are plenty of thriving thrift stores in the state overflowing with gently-used goods. Treasure hunters and bargain hunters: This is for you. Here are the 10 best thrift stores in Nebraska. New Life Thrift Store in Omaha has it all. 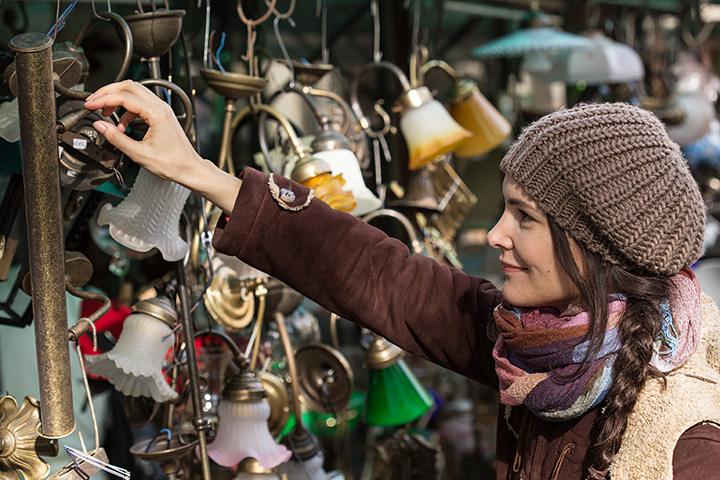 From clothing and accessories to artwork and furniture, this enormous thrift store consistently offers new stock to rummage through. New Life Thrift Store is spacious and offers ample fitting rooms to try any clothes before you buy them. Scout Dry Goods & Trade in Omaha offers a unique spin on the traditional thrift store. Unlike most thrift stores, Scout buys and resells second hand clothing and accessories for affordable prices. With a keen eye for vintage, retro, and high quality pieces, it’s impossible to walk out of here empty-handed. Vintage lovers rejoice. At the Black Market in Lincoln you’ll walk into an incredible selection of fashionable vintage clothing at affordable prices. This popular thrift store is a hot spot for savvy shoppers and fashionistas alike. Thrift America’s second location in La Vista also makes the list for its great selection of items—especially for the home and kitchen. Everything is nicely organized and weekly deals make this the perfect place to peruse for an afternoon. The inventory changes almost daily, so you never know what you’ll find! For avid thrift store shoppers and treasure hunters, Thrift America in Omaha is a gold mine. From clothing and purses to furniture and kitchenware, they always have an incredible selection of goods that rotates frequently. The Daisy Thrift Shop in Lincoln is on a mission to offer high quality, gently worn items that are hand-picked by the volunteers that work there. Everything in the store comes from generous donations and the proceeds from the store go toward helping women in need. Tip Top Thrift Shop Inc. in Omaha is run entirely by volunteers and proceeds go to Youth Emergency Services. And while it may not be the largest thrift store on the list, it definitely gets our vote for maintaining a nice selection of high quality knickknacks and housewares at great prices. Between the selection at Family Thrift Center in Lincoln and the prices, it’s difficult to leave this thrift store empty handed. Bargain hunters are greeted by friendly staff and can sift through a variety of clothing and household goods donated by the community. Hand Me Up Store in Omaha is quaint in size but loaded with treasures. Clean and well-organized, this thrift shop has plenty of one-of-a-kind gems to sift through. Stop in to shop unique goods and support a local cause. For gently used clothing, footwear, and accessories, make your way to Closet Savvy in Grand Island. This shop offers a great selection of name brand items at affordable prices for men and women of all ages. Save your wallet and a trip to the mall by browsing the racks at Closet Savvy first!